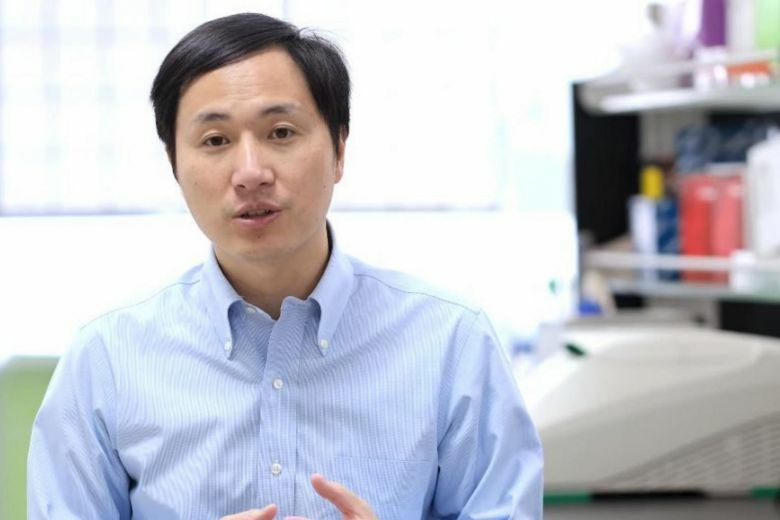 Beijing has ordered an investigation into claims by a Chinese scientist to have created the world’s first genetically-edited babies, a move that would be a ground-breaking medical first but which has generated a barrage of criticism. A video posted on YouTube by university professor He Jiankui said that the twin girls, born a few weeks ago, had had their DNA altered to prevent them from contracting HIV, prompting a heated debate among the scientific community. As experts cast doubt over the claimed breakthrough and others decried it as a modern form of eugenics, China’s National Health Commission ordered an “immediate investigation” into the case, the official Xinhua news agency reported early Tuesday, citing a statement on the NHC’s website. The professor, who was educated at Stanford University in the U.S. and works from a lab in the southern Chinese city of Shenzhen, said the twins’ DNA was modified using CRISPR, a technique which allows scientists to remove and replace a strand with pinpoint precision. The development emerged Sunday in an article published by industry journal the MIT Technology Review, which referenced medical documents posted online by He’s research team to recruit couples for the experiments. The claims come ahead of a conference of world experts in Hong Kong this week, with He expected to speak on Wednesday and Thursday. But there is as yet no independent verification of his claims, which have not been published in a peer-reviewed journal — an omission that the scientist’s critics have seized on. “This research work was carried out by Professor He Jiankui outside of the school,” the Southern University of Science and Technology said in a statement Monday. And a joint statement from a group of 100 scientists in China criticized the findings and called for better state legislation. “It is a great blow to the global reputation and development of biomedical research in China,” said the statement posted on social media platform Weibo. Other scientists all around the world were also critical, with some saying a YouTube video was an inadequate way of announcing scientific findings, and others warning that exposing healthy embryos and children to gene editing was irresponsible. The issue of editing human DNA is highly controversial, and only allowed in the U.S. in laboratory research — although US scientists said last year that they had successfully edited the genetic code of piglets to remove dormant viral infections. But this is not the first time Chinese researchers have experimented with human embryo technology, and last September scientists at Sun Yat-sen University used an adapted version of gene-editing to correct a disease-causing mutation in human embryos. There is also a history of fraud within China’s academic community — including a scandal last year that led to the withdrawal of 100 “compromised” academic papers. Neither was there any response from queries to the organizers of the Hong Kong conference, and it is not clear whether they were aware of He’s work. New World: What Challenges Will North Koreans Face After Opening to the West?